With the NHL and NHLPA meeting today to resume negotiations on a new collective bargaining agreement – and with the players expected to make a counter-offer to the owners’ proposal from last week – there’s a lot of buzz about the possibility of the 2012-13 season beginning on January 19. There’s precedent in this schedule, as the abbreviated 1995 slate began on January 20, with the Stanley Cup Finals ending on June 24. While that timeline could be used for this season, the league’s alignment today is drastically different from what it was in 1995, so a new scheduling formula will be needed. In 1995, the Detroit Red Wings played four of their five Central Division brethren five times for twenty games. They saw the remaining Central Division foe, the Toronto Maple Leafs, four times, for a total of 24 games against their own division. The Wings faced the six Pacific Division teams four times each for another 24 games, resulting in a 48-game schedule. As the conferences were unbalanced at the time, a different formula would have been required in the two seven-team divisions of the Eastern Conference… I’m not going to get into that. It’s pretty much assumed that the same intra-conference schedule would be kept for 2013 but now those conferences are made up of fifteen teams split across three divisions. Five games against four divisional opponents plus four games against ten gives us a 60 game season – unmanageable in the time allotted. What other options do we have? That depends on how you want to balance things out. Seven games against divisional opponents and two games against everyone else in the conference puts each team at exactly 48 games but is heavily skewed toward the divisional rivalries. A more even balance could be four games against the division and three against the rest of the conference to get to 46. The remaining two could be randomly selected (or “rivalry matchups”) from either the rest of the conference or the opposing conference (depending on how much the league wants to enforce the intra-conference schedule). If the league wanted to eliminate the intra-conference aspect of the schedule, I do think there’s an interesting third option. Four games against each team in the division and two games against the rest of the conference for a total of 36 games, leaving 12 available slots to get in an appearance against almost every team in the opposing conference. It’s far from perfect and I have no solution for picking which teams from the opposite conference would be skipped over. I also can’t speak for travel concerns for the teams. I’ve always said, though, that I prefer to see the Red Wings get to play more of the Original Six and this makes that possible. In all likelihood, I think we’ll see the second option instituted. That is, if a deal can even be reached in time for there to be a season. This may not go over well given the slight bit of optimism surrounding the NHL lockout after the league’s latest offer to the players but I think it still applies. I also started writing it on Christmas and then spent the next several days sick and left this unfinished, so I’m not going to let that delay stop me from putting an idea out there. I was talking to my uncle about the lockout at our extended family Christmas party a couple weeks ago. As a small business owner, he’s pretty firmly on the side of the owners while I unapologetically side with the players in the current labor battle. One of his key arguments was that, as a business owner, if he was losing money because he was paying his employees too much, it would be only logical for him to shut down. Either he temporarily closes up shop to get the employees to take less pay (a lockout) or he goes out of business completely, because it’s bad business to just keep throwing money in that particular pit. It’s hard to argue with that but there was something bothering me about it and, after letting it bounce around in my head for a bit, I think I’ve figured it out. Our attempts at analogy are oversimplified. They ignore both the franchise model used by the NHL as a whole and/or the fact that there is a very real scarcity of workers for the league. The latter, to me, is the simpler one. As much as we talk about there being other outlets to find what we call “hockey” available during this lockout, only the NHL is made up of the 700 (or so) best players in the world. The KHL, AHL, CHL, NCAA, etc. are all “hockey” but they are not the same thing as the NHL. While most businesses can say they want the best people in the world, only sports leagues that bill themselves as the top league globally actually need that talent because without it they’re not the product they say they are. Eventually it becomes a little self-fulfilling, as for a hockey player, going to the NHL proves that you’re one of the best players in the world. My uncle’s convenience stores, for example, are not going to attract the top cashiers in the world in the same fashion that the NHL attracts the top hockey players. Attracting top-level talent is also not required, as swapping employees out is going to be less noticeable to his consumers. The quality of my uncle’s employees, the ones he’s worried about paying too much, is not the defining characteristic that it is for the NHL. My uncle’s business is also not franchise-based, as the NHL is. He can open up shop pretty much wherever he wants and because all of his stores feed into the same pool of money, one under-performing store can drag the rest down. That’s not the case for the NHL. As much as we’ve been talking about league revenues and expenditures as a whole during this lockout, that’s not how it actually works for the individual businesses. If the Phoenix Coyotes (often picked on in cases like this) lose money, it doesn’t affect the bottom line of the Toronto Maple Leafs in any way. I won’t go into whether that’s how it should be or whether we see an accurate representation of each team’s finances or anything like that. The point is that most businesses do not follow the franchise model, so a comparison to the NHL is going to be invalid. We keep seeing arguments made where the players are held to the same standard as the “common worker.” That they should just be happy to have a job. That comparison is invalid. Similarly, we can’t make an analogy between NHL owners and small business owners. There are just too many differences in how their businesses work. Finally snow has fallen on Michigan and that means the lakes will be freezing soon and pond hockey will be keeping hockey fans busy during this NHL lockout. January 18th-20th The Lake Fenton Winter Classic is returning! There will be eight divisions this year including a women’s division – you just have to be 18 or older to participate in this years event. “Last year was the first year for the Lake Fenton Winter Classic. We had many obstacles to maneuver around to pull off a successful tournament,” says Sean Lapham, the Lake Fenton Winter Classic Tournament Director. The winning team from each division will get their team name engraved on the Des Crowley Memorial Cup and receive free entry into the 2014 Lake Fenton Winter Classic. Registration closes January 9th so get your team together and sign up today! Event takes place Friday Jan. 18 thru the 20th on Barnum Lake, behind The Fireplace located at 2238 North Long Lake Road in Fenton Township. 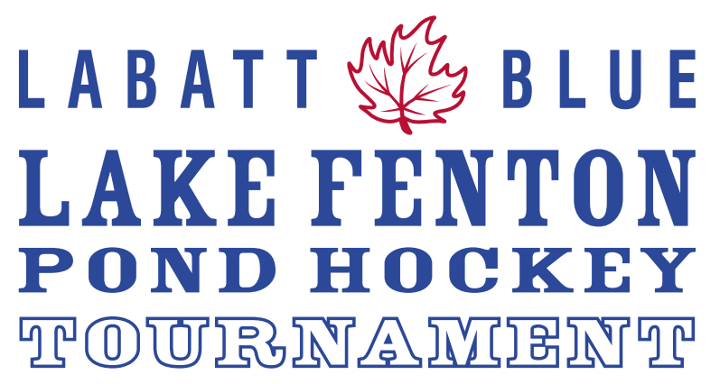 To register go to: www.LakeFentonWinterClassic.com and like the event on Facebook for updates! A four-day poll of National Hockey League Players’ Association members has concluded, with the players voting “overwhelmingly” in favor of authorizing their executive board to file a disclaimer of interest by January 2. The results of the voting have not been announced by the union but individual players have revealed the outcome. The executive board is not required to file but now has the option of dissolving the union, which would allow players to file a class-action anti-trust lawsuit against the league. The NHL has preemptively attacked that option by filing their own lawsuit, seeking to have their lockout of the players declared legal. During last year’s National Basketball Association lockout, the National Basketball Players’ Association filed a disclaimer of interest, with the two sides reaching an agreement twelve days later and their season beginning on Christmas. The NHL cancelled scheduled games through January 14 yesterday. The 2012-13 National Hockey League season officially became the 2013 season on Thursday, as the league announced the cancellation of all games through January 14th. Games through December 30th had previously been cancelled as the league’s lockout of its players’ continues, with the two sides unable to agree on a new collective bargaining agreement. The announcement of the latest set of games lost comes as the NHLPA membership votes on whether or not to authorize a disclaimer of interest, a move which would effectively dissolve the union and move the CBA battle into the courts. Detroit Red Wings player representative Daniel Cleary expects the measure to pass near-unanimously. With the latest cancellations, 41 games from the Red Wings’ schedule have been lost, exactly 50% of the original slate. The Detroit Red Wings extended their winning streak to six games in the tenth week of the season, picking up victories over the Boston Bruins, Phoenix Coyotes, and Nashville Predators. A two-goal second period lifted the Wings to their 2-1 win over the Bruins on Monday night. Pavel Datsyuk and Drew Miller scored in the second half of the middle frame and Adam McQuiad’s third period goal wouldn’t be enough for Boston. Jimmy Howard made 19 saves on 20 shots to earn the win. On Thursday, Howard faced only twelve shots, allowing one goal in a 5-1 win over the Coyotes. Todd Bertuzzi opened the game’s scoring at 4:08 of the first period and Ian White‘s second of the season made it 2-0 at 8:18. Johan Franzen scored on a power play with 6:49 left in the second period. Phoenix got on the board with a Steve Sullivan power play goal at 5:01 of the third but former Coyote Danny Cleary responded for the Wings just 53 seconds later. Jakub Kindl rounded out the scoring with 7:01 remaining. On Saturday night in Nashville, the Wings limited the Predators to 17 shots and Howard stopped them all, en route to a 3-0 win. Miller scored with 42 seconds left in the first period, Filppula with 3:14 in the second, and Datsyuk with 6:50 in the third to secure the victory. After ten weeks, the Red Wings remain atop the Central Division, with two points and a game in hand on the Predators. They’re ten points back of the league-leading Los Angeles Kings. With his blanking of Nashville, Jimmy Howard moved into a tie with Martin Brodeur for most shutouts in the league with five. In the coming week, Detroit will host the Kings on Tuesday, the New York Islanders on Thursday and the Columbus Blue Jackets on Saturday before taking a break for Christmas. Seth Rorabaugh of Empty Netters points out via Twitter that today’s cancellation of games through December 30th means that more NHL games have been cancelled under Commissioner Gary Bettman than have been played by nearly a third of the league’s current franchises. The Sharks (1608), Bolts, Sens (1528), Ducks, Panthers (1444), Preds (1066), Jets/Thrashers (984) Jackets and Wild (902). Obviously, that’s the nine most recently-added franchises. If you break it down by team (in other words, starting over when a relocation takes place), thirteen of the existing teams have played fewer games than the league has cancelled (the Dallas Stars, Colorado Avalanche, Phoenix Coyotes, and Carolina Hurricanes are added to Rorabaugh’s list). Overall, though? Counting every time a team relocated to a new market as a new team (in other words, the Red Wings are the same team as the Detroit Cougars and Detroit Falcons, but the Phoenix Coyotes are one team despite their “move” to suburban Glendale, and the Brooklyn Americans never left Madison Square Garden so they’re the same as the New York Americans), the NHL has had 49 total teams. As previously stated thirteen of those (San Jose, Tampa Bay, Ottawa, Dallas, Anaheim, Florida, Colorado, Phoenix, Carolina, Nashville, Columbus, Minnesota and Winnipeg) have played fewer than 2224 regular season games. The former teams that fit the bill? Every single one of them. Here’s the breakdown. As the National Hockey League’s lockout of its Players’ Association continues, the league announced the cancellation of all games through December 30th on Monday. All games through December 14th had previously been cancelled. Also lost are the 2013 Winter Classic, to have been held at Michigan Stadium in Ann Arbor, and the 2013 All-Star Game hosted by the Columbus Blue Jackets. In all, 526 games have been cancelled due to the lockout. Commissioner Gary Bettman indicated that the 48-game schedule used during the lockout-shortened 1995 season is the shortest slate of games the league will consider for a season. During the 2005-05 lockout, a 28-game schedule was briefly considered before the season was cancelled.